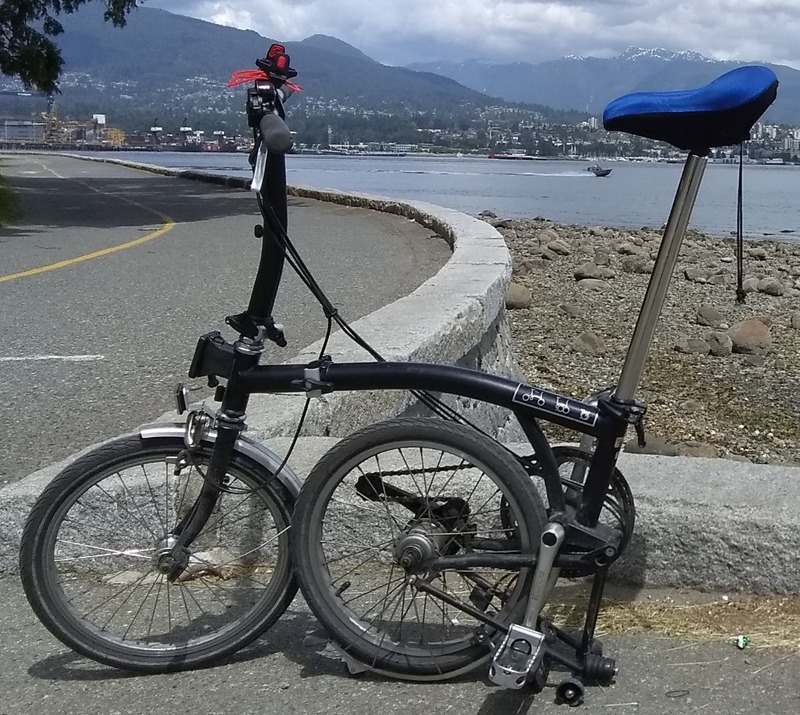 Black Brompton, folding bike, with a rear light; worn but in good condition. At the time of the theft, it had a blue seat cover. Serial number: 1002135147. Reported to Metropolitan Police: 2304070/19. Taken from the north side of Tavistock Square, between 6-8pm, when I was at a class. It had an Abus lock, but it, too was gone.